'World of Dance' Qualifiers The Ruggeds. Photo by Justin Lubin/NBC. They say that “the third time’s a charm”, and that was certainly true for the third round of the Qualifiers on World of Dance. Seven more groups lit up the World of Dance stage for the Qualifiers round with the hopes of moving on to the Duels and getting one step closer to winning 1 million dollars and the chance to be named “World of Dance Champion”. The stakes were already high as many groups from all over the world dazzled the judges and flew through to the next round. The judges were looking even closer at the entertainment quality of the dance numbers and what they deemed worthy to compete against some heavy contenders. The Ruggeds from the Netherlands were first in line to take the stage with the hopes of capturing the judges’ attention. This self-taught group of break dancers started off the third round with a bang with their floor-sweeping breakdancing and synchronization. They gave great visuals along with their performance and continued to keep the audience hyped as they moved from one trick to the next. They kept not only the audience engaged but the judges as well and proved that they had great potential and an equally great energy that they loved. After scoring 83.3, The Ruggeds are on to the Duels. ‘World of Dance’ Qualifiers Josh and Taylor. Photo by Justin Lubin/NBC. Next to the stage were Josh and Taylor. Although they both competed on different teams in the previous season of World of Dance, they teamed up this season as a hip hop duo. They presented a story from the beginning of their performance, along with musicality set to the infectious beat of the music. Their creative visuals added to the storyline and gave a different vibe to hip hop that was almost like an interpretive dance. The balance between subtlety and grand movement was the perfect recipe for them, and their use of a chair as a prop was the icing on the cake. There was no doubt by the reactions of the judges and the audience that Josh and Taylor are a force to be reckoned with. With a score of 93.3., they are on their way to the Duels. ‘World of Dance’ Qualifiers Lock N Lol Crew. Photo by Justin Lubin/NBC. Straight from Seoul, Korea, Lock N Lol Crew took to the World of Dance stage with a locking routine. With a mixture of funk and soul, Lock N Lol took us back in time with a colorful performance of traditional locking and a bit of whacking as well. Their performance was full of great visuals matched with hyper speed arm movements. After the judges challenged them to bring even more to their routines, Lock N Lol are moving on to the Duels. ‘World of Dance’ Qualifier Michael Dameski. Photo by Justin Lubin/NBC. Contemporary dancer Michael Dameski, kept the pace moving with a heart-stopping routine that was evident based on the judges’ reactions. His movements were fluid as he moved from one step to the next, and it built gradually along with the music. There was an unwavering strength and agility to his routine that could not be contained. Dameski sparked a fire in the judges and received a standing ovation for his passionate performance. With a score of 92.7, Demski will be joining other talented soloists in the Duels. The Rascals were next up to show the judges what they had to offer as they competed with a hip hop routine. They wasted no time as they came out swinging from the moment their music started. These kids delivered great energy and fire in each step and danced as one great force. They switched up the vibe with their hip hop routine and kept the judges in awe throughout. 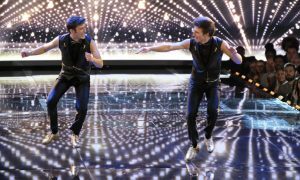 It was like they “shot out of a cannon,” according to judge Derek Hough, and they left the audience and judges wanting more. After scoring an 84.7, The Rascals will be able to wow the judges even more in the Duels round. ‘World of Dance’ Qualifiers Elektro Botz. Photo by Justin Lubin/NBC. True to their name, Elektro Botz ended the night on a high note with their robotic routine. From the beginning, they served up great visuals as they created the illusion of floating onto the stage. Their isolations were unreal and flowed from one picture to the next and complemented the music choice perfectly. The musicality was off the charts. They were not only clean with each movement, but the synchronicity could not be denied. 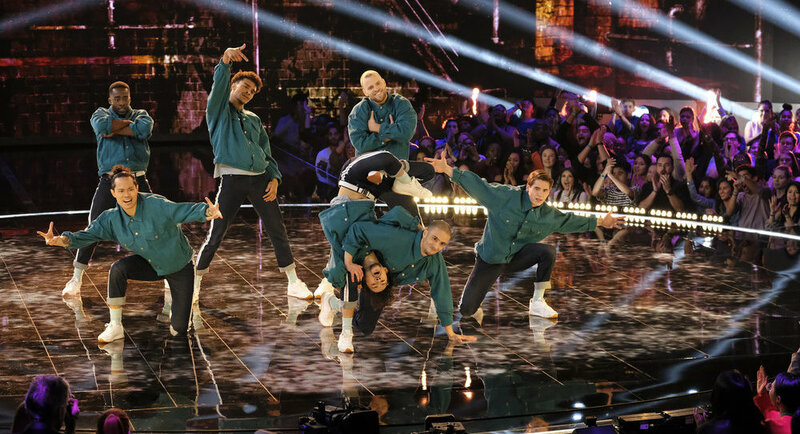 Elektro Botz brought a personality to their routine which “made it more human,” according to judge Ne-Yo. The audience was equally mesmerized by the Elektro Botz, and with a score of 89.0, they will be able to continue to share their unique style of robotics in the Duels. You don’t want to miss the next episode of World of Dance! Stay tuned for more talent.